Festival, Music, Music Festival, Sruthi, Sagar, Flute. 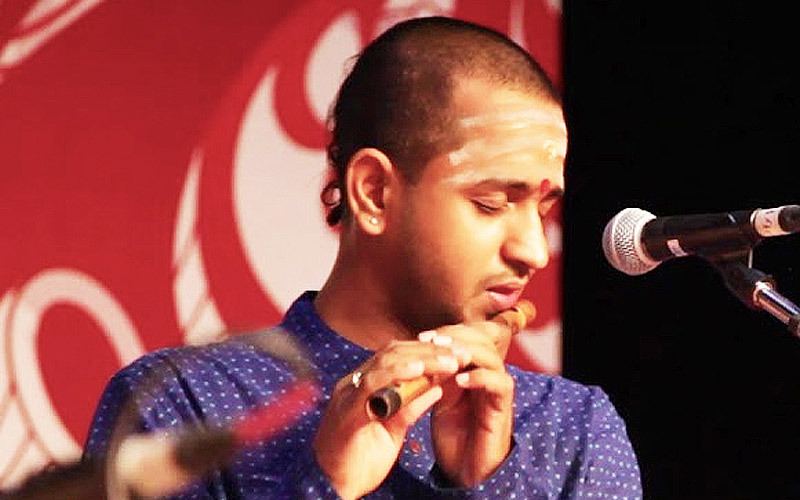 Twenty year old flautist Sruthi Sagar, a third year engineering student in a Chennai city college, exhibited exceptional talent in flute playing even at the age of ten, when he won the ‘Child Prodigy Award’ from the Rotary Club Besant Nagar. At seventeen, he won the ‘Kuzhal Isai Selvan Award’ from the Kumararaja Muthiah Muttamizh Manram. He is also the winner of the AIR (2000) and Mylapore Fine Arts Club (2003) competitions. As a student of Chettinad Vidyashram, a school that actively promotes extracurricular activities, he won a number of prizes in many inter-school competitions. Not many youngsters take to the flute or the veena – the two classical and wholly Indian musical instruments. Most prefer to become vocalists or violinists. The flute and veena do not evince the right kind of interest and support from listeners and sabha-s. Viewed in this context, Sruthi Sagar’s passion for the flute and the hard work he has put in are truly admirable. Despite being an engineering student, he dreams of becoming a professional musician, his academic education, as in the case of most middle class South Indian homes, a concession to societal and family compulsions. Flute playing has undergone a sea change since the advent of the maverick genius T.R. Mahalingam. ‘Viraladi’, the clicking sound heard every time the fingers close or open the holes on the flute, has virtually disappeared and instead, the blowing technique bringing out rich gamaka-s and ghana-naya elements has come to stay. To Sruthi who has only heard Mali’s recordings, the immediate inspiration comes from the young maestro Shashank. ‘Azhutham’ and ‘swara suddham’ mark his handling of the notes and he displays a natural felicity while traversing them. His raga alapana-s are characterised by depth and visranti. After a concert in Mysore a year ago, a critic went so far as to hail him as a worthy successor to Mali. Another observed that his flute playing had a remarkable closeness to vocal singing. In fact, though Sruthi learnt to play the flute from vidwan Balasai for a couple of years, he came under the tutelage of vocalist Dr. S. Sundar, a senior disciple of the late D.K. Jayaraman in 1999. 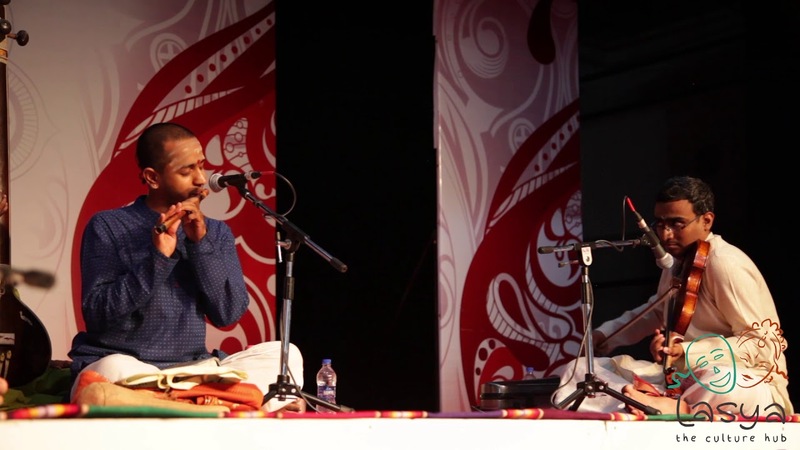 The flute, as with most instruments, can be used to play in an exotic fashion and in super-fast speed – trends that instrumentalists justify as non-violative of ‘vadya dharma’. Fortunately, Sruthi Sagar has curbed this tendency. He strictly adheres to the kalapramana required of individual kriti-s – while he plays major kriti-s in an appropriately slow tempo, bringing out their rich bhava, the madhyama and dhurita kala kriti-s are also rendered in the appropriate kalapramana, avoiding frills. Barely three years after his arangetram in June 2006, Sruthi Sagar has already played in most sabha-s in Chennai and a few outside the metropolis. Some of these are, Hamsadhwani, Kartik Fine Arts, IIT, Music Academy, DKJ Foundation, Nayaki, Musiri Chambers, Sarvani Sangeeta Sabha, TTD and Parthasarathy Swami Sabha – all in Chennai and Tamizh Isai Sangam, Madurai and Pollachi, R.R. Sabha, Tiruchi and Ganabharathi, Mysore. Sruthi’s paternal grandmother was a veena and vocal artist while her sister was a graded AIR artist. 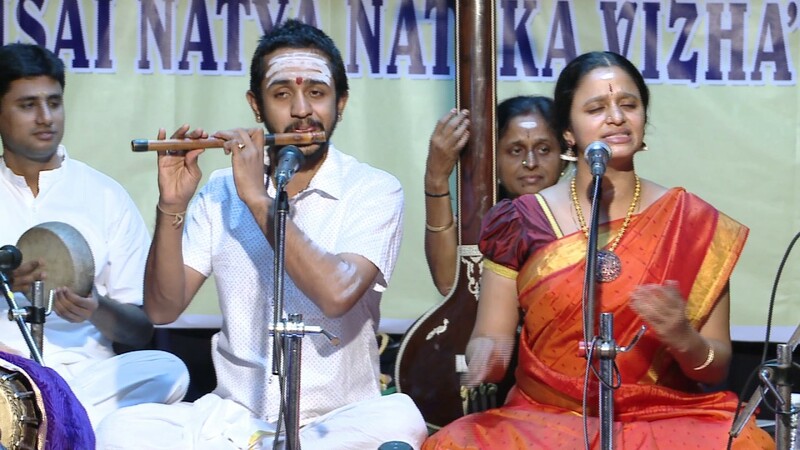 Sruthi’s parents J. Bharadhwaj and Usha are also proficient in the veena while his little sister Keerthana is a budding vocalist. No dearth of music at home! Sruthi Sagar often accompanies his guru on the flute in his vocal concerts and has also done so in four cassettes released by his guru.